It depends upon the kind of ants, and where they are. If they’re getting into the house for food, then removing their ingress points will do the job. Look outside as well as inside, and caulk any gaps you find (this helps with heat loss as well). If you can’t find the ingress point(s), then removing food sources and cleaning off surfaces to remove their scent trails helps (you’re trying to convince them that there’s nothing there of interest). If they’re nesting in the house, you’ve a bigger problem — merely killing some of the scouts won’t work and you have to get the queen. Colonies are usually in inaccessible spaces within the structure. The baits are in small containers to prevent animals from eating them, and usually you can find nooks around the ant activity where your pets can’t get to them. 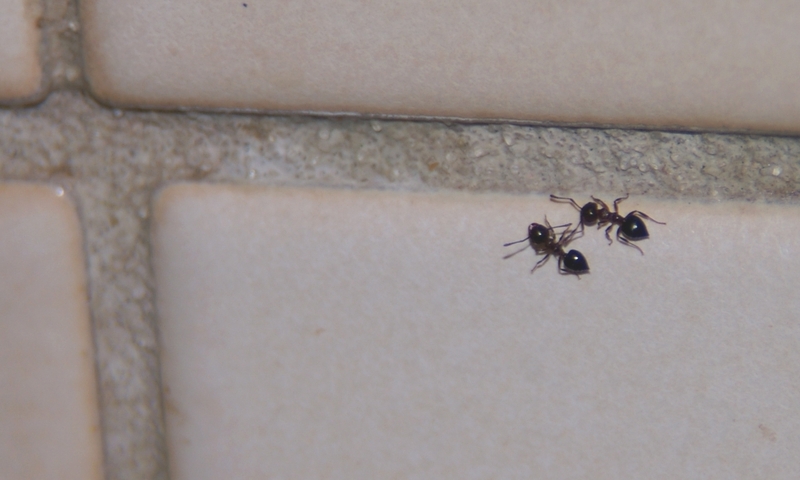 If you do see more ants around the baits, that’s a GOOD thing, because it means they’ve found the food+poison and are taking it back to the nest. In that case, do not try to kill the scouts or clean off their trails. If they’re outside and staying outside, then you have to ask if they are actually creating problems (e.g. fire ants) or if they’re simply living out there in the yard. Got any suggestions on getting rid of them without poison? I have ants, but also lots of animals.